The grassy cliffs of Sark, in the Channel Islands, are a vital habitat for insects, including a variety of butterflies and moths. 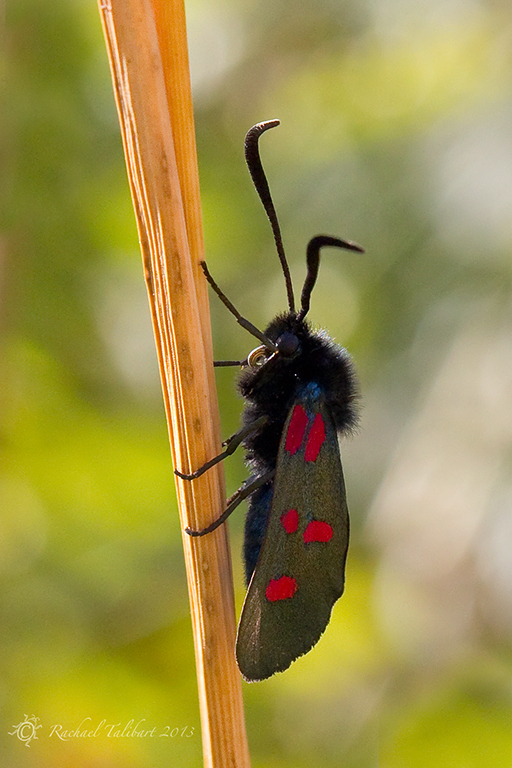 When we visited in July, the five-spot burnet moth was much in evidence. Such a striking beast. I also spotted a forester moth, below. Somewhat rarer. 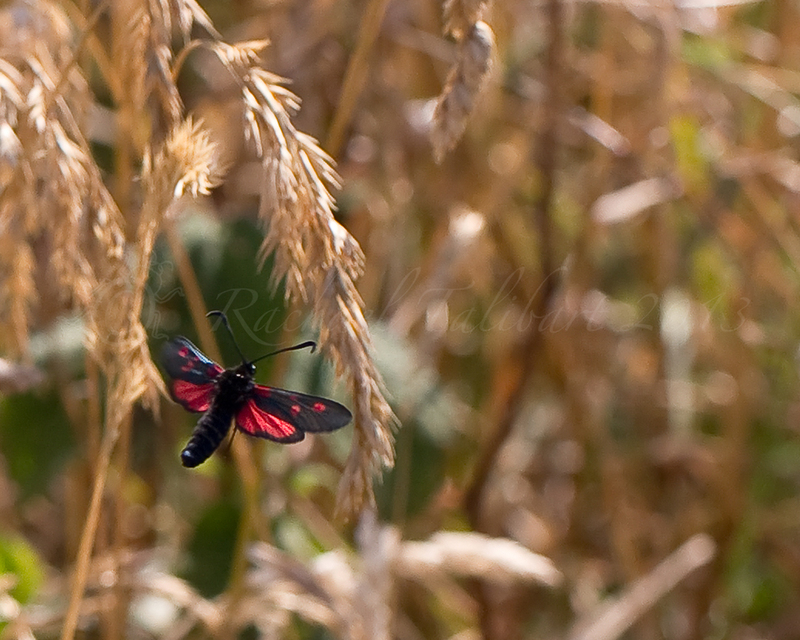 Burnets are not known to be particularly flighty but they were fluttering all around me that afternoon. Perhaps it was the very breezy conditions. I wasn’t able to manage a decent in flight shot. Below is a huge and rather fuzzy crop, but a record of the moment nonetheless. 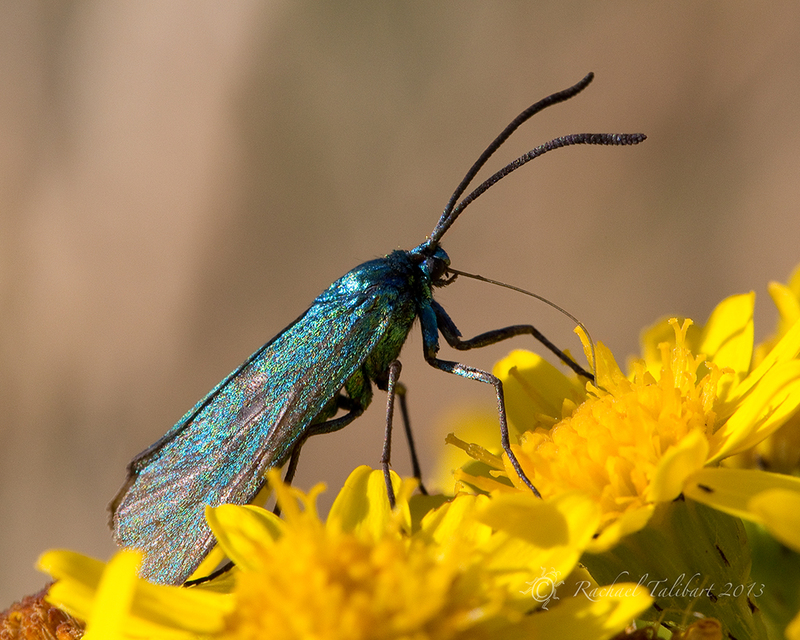 This entry was posted in Channel Islands, nature, photography and tagged Channel Islands, five spot burnet moth, forester moth, insects, macro, macro photography, moths, photography, Sark by Rachael. Bookmark the permalink. Lovely “beasts” indeed! Am I the only one having problems with getting stats and the ‘like’ button or is WordPress having issues again? Can hardly call you a digital numbskull with the images you produce. I figured out my problem. It was some software that blocks other unwanted stuff which suddenly decided to start blocking my stats and likes. Stunning. Currently experiencing a serious case of macro envy — not to diminish your skill and artistry, which are fab as always!